Society preaches to ‘follow your dreams,’ but when it comes to the working world, that can be inevitably difficult. As ideal as it would be to have the ‘perfect’ job, anyone who’s carried a nine-to-five knows that you’re inevitably going to be frustrated by your current career—regardless of how many benefits, perks, and good moments there are. Work can be difficult, there’s no question about that. 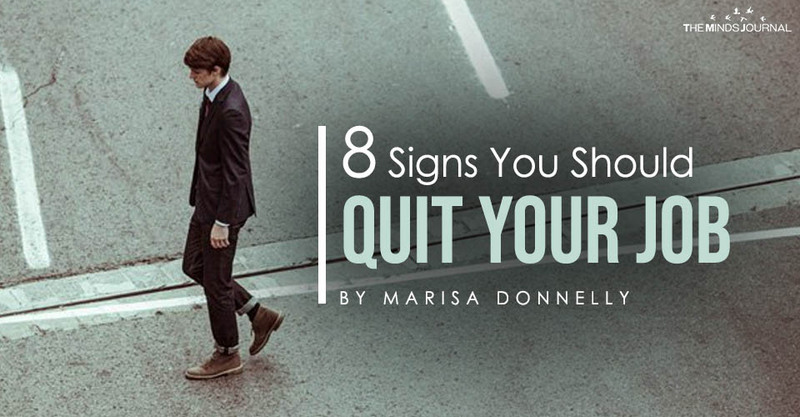 From dealing with arrogant bosses, to having an overwhelming workload or low pay, there are a myriad of reasons to want to quit your job. But beyond the day-to-day frustrations, if this is something you’re seriously considering, you’ll need to determine whether this is a smart, or spur-of-the-moment decision. In a recent study, 62% of people surveyed said that they would increase their job search efforts in 2019. If you feel that this statistic relates to you, or you’ve been seriously thinking about leaving in pursuit of something better, here are some legitimate reasons to quit your job. 1. You’re in a hostile or biased environment. If your workplace isn’t welcoming, or creates an environment of fear, unhealthy competition, or any racism, sexism, ageism, etc. you have every right to walk out. The workplace should never be a place where you feel unwelcomed, unwanted, or unsafe. That being said, the first step is to communicate these issues and frustrations with a boss/higher up, or the HR team before simply quitting. If you’ve expressed concerns, talked to the right people, and attempted to fix some of the biases and other problems with no result, then it’s time to seriously consider something else. 2. You and your boss don’t see eye-to-eye. You’re not always going to get along with your boss. There will be times, especially if you’re a strong-minded or creative person, when your ideas won’t match and some insight you bring to the table may not be agreed upon. Walking out at the first disagreement is silly, but if you find yourself in constant arguments with your boss, unable to expressing yourself, your ideas, or your concerns, it might be time to quit your job. You don’t (and won’t!) always get along, but things shouldn’t constantly be tense and at odds, either. 3. Your career trajectory is not promising. Your career trajectory is probably one of the most important components of your current job. Your job is supposed to be beneficial for your over all development as an individual. When you start a new position, there should be ample opportunities to grow and climb the proverbial ladder to success. If you’re realizing that there’s no upward direction, no promotional opportunities, or no increase in pay, it might be a good time to start looking elsewhere. An ideal job is one that motivates and encourages you. While you won’t always feel at the top of your game, the right career will be challenging, difficult and simultaneously stimulating in nature. If the job is not providing you with new achievable and creative challenges, you are bound to feel stuck. And when you feel stuck, your productivity will significantly decrease. This ends up affecting your self-esteem as well as your work ethic..
Marisa Donnelly is a Midwest-born, West Coast-based writer, poet, essayist, and editor. She is the author of the poetry collection, Somewhere On A Highway and the founder of the remote writing coaching/editing services company, Be A Light LLC (https://bealightLLC/).